Global fashion designers are getting a good run for their money by choosing to (literally) set up shop in Australia. First there was Zara, and then Topshop; and now comes UNIQLO and H&M. 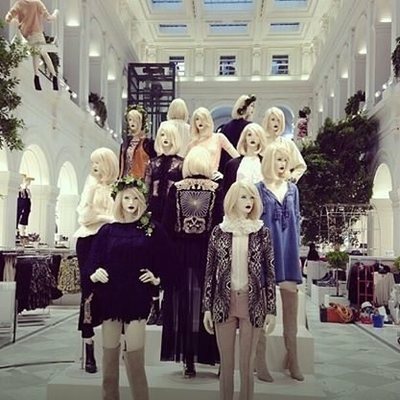 H&M is a Swedish clothing brand, and like the other fashion brands mentioned above; they have followed suit by recently opening up their very first store in Australia in the city that is dubbed the fashion capital of Australia. If you had guessed Melbourne, a gold star goes to you. 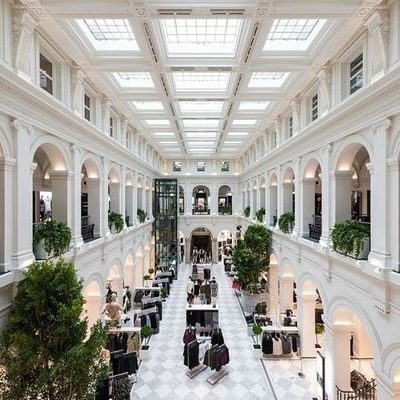 This iconic, popular clothing brand have recently opened in the GPO complex in Melbourne City's Bourke Street Mall. Apparently H&M is the second largest worldwide fashion style brand behind Zara. 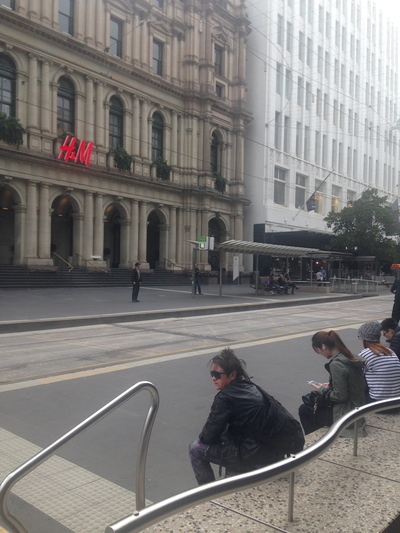 A second store is expected to open in Sydney's George Street (at 333 George Street near Wynyard) sometime soon. Back to it's success (thus far) in marvellous Melbourne. Just like Zara, H&M stock a diverse range of trendy coats, jackets, jumpers and dresses to name. Melbourne's Bourke Street Mall is usually pretty quiet just before 10am on a Sunday morning, yet having spent a bit of time in this part of Melbourne recently; it was amazing to see many people queue well into Elizabeth Street to get in on the store's 10am opening on a fairly cold Sunday morning. 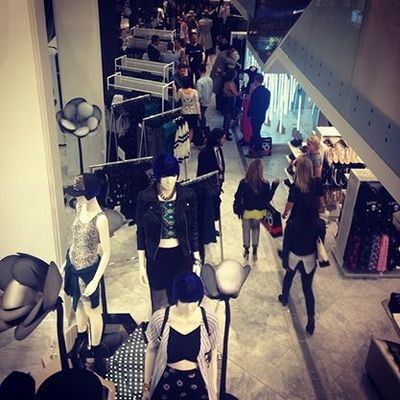 The location, style and prices is making H&M rather attractive in Australia, as well as other style seekers on the quest for Melbourne and Sydney fashion lovers (in particular) to open their wallets and spend crazy. So far it's working. Their Bourke Street Mall location is pretty, elegant, and is worth the small wait. It is great to know that Australian's are not being charged a premium to shop here. 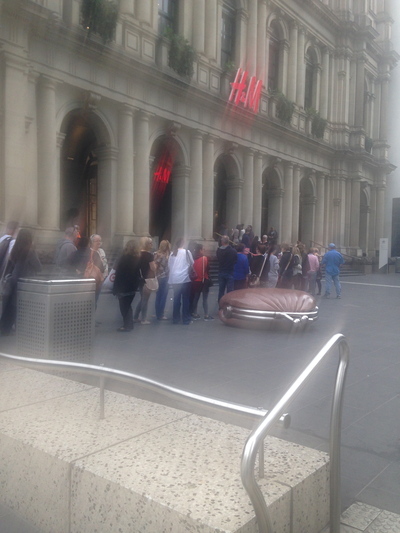 H&M are working on making their clothing available for all Australian's to shop online in the near future. Wonderful readers, I apologise for the blurry image. My camera was playing up. Just before 10am on a cold, Sunday morning. People lining up to head inside.